Are You Screening? Podcast #216 - The Mummy Review - Are You Screening? The Dark Universe may be off to a rocky start, even with Tom Cruise, and Universal may have to adjust its theory of pumping money into the franchise it’s creating. The real problem with this title specifically is that it doesn’t seem like anyone was looking for The Mummy to show up again, and that’s the audience the film managed. But, is it that bad? It’s a movie that made some mistakes and spends too much time on things that are only there so that they can show up in future installments, but there’s a lot of fun to be had for those looking for escapism. Of course, it may also be pretty boring, depending on how you look at things. We’ll let you know if you need to head to this one. 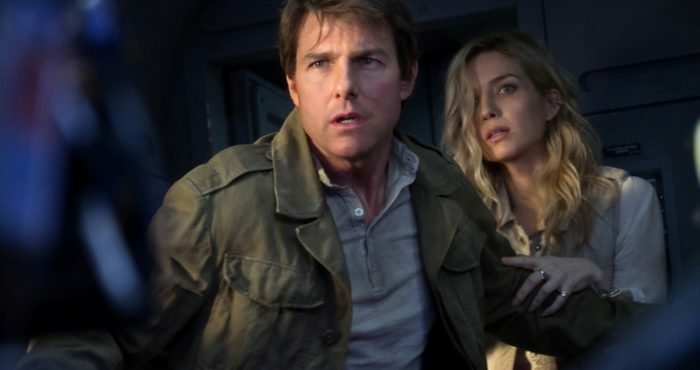 Cruise is joined by a cast including Annabelle Wallis (upcoming King Arthur, television’s Peaky Blinders), Jake Johnson (Jurassic World), Courtney B. Vance (TV’s American Crime Story: The People V. O.J. Simpson), Marwan Kenzari (The Promise) and Oscar® winner Russell Crowe (Gladiator).